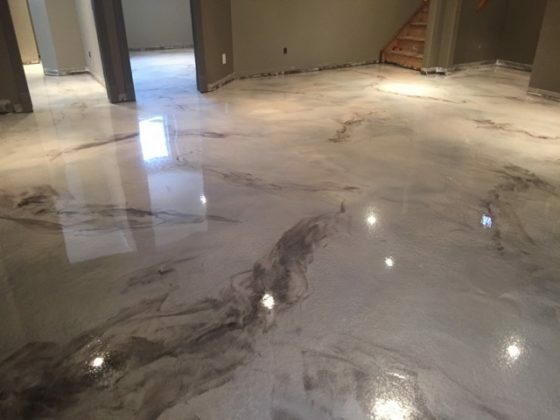 Decorative marble epoxy basement floors have a rich marble-like luster. The gorgeous basement floor in the image below was created using PT-1 in charcoal pearl with coffee accents. This client was absolutely floored with the results! With Reflector Enhancer floors there are no two projects the same. Don’t buy the same tiles and carpet that everyone else is getting. Call us today at 403-547-5597 for more information on this and other beautiful concrete floor options.